Antikythera mechanism expedition begins search for missing fragments of world’s oldest known computer and more. Polar vortex a sign of global warming. Will the trolls win the internets? Police steal from innocent people. Whatever Iceland is doing right now. How to vote in November. There are 30 hours left until the Internet Slowdown protest for net neutrality, and all of us here at FFTF are working round the clock to make this huge. Just this morning, Netflix announced that they’re joining the slowdown and will be showing a prominent message sitewide onSeptember 10th. That’s huge. We’re going to reach millions and millions of people who have never heard the words “net neutrality” before. So many of you have already joined and have been helping spread the word, and we can’t thank you enough. Comcast, Verizon, AT&T, and Time Warner are spending more than $1 million per week lobbying to make sure that the FCC protects their interests even though the public’s voice couldn't be clearer. It’s possible to drown out the influence of those lobbying dollars -- we’ve proven that before -- but only if everyone starts scrambling right now to get even more people and sites on board. P.S. Just a reminder that EVERYONE can participate in the protest on September 10th. If you have a website, go here to get the code. If not, click here, and change your profile picture.It’s easy! 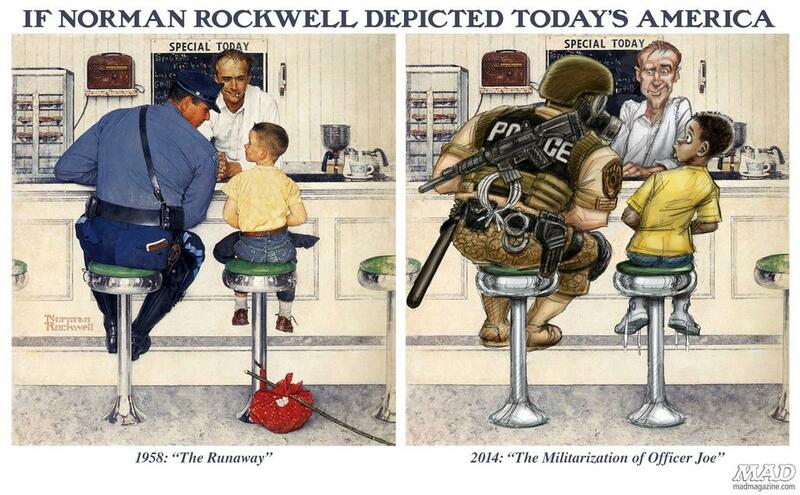 If Norman Rockwell were painting today. Dry weather helps see more of Stonehenge's past. Lots of rules for women.